A page about proposed or actual boycotts of Israel. Focusing on Ireland. Jew-hating Israel-hating freaks ransack Israeli products in a French supermarket, Mar 2009. They did this right beside Drancy internment camp, where the French in the 1940s rounded up 65,000 French Jews (men, women, children and babies) for extermination. Israeli supermarket attack, Mar 2002. Palestinian suicide bomber targets civilians, killing an Israeli girl and a brave security guard (a father of five children, two of whom are deaf). There are vast numbers of people calling for a boycott of Israel. I could not list them all. All the anti-semites, Jew-haters, Holocaust-deniers and neo-Nazis. All the Islamists, jihadists and terrorists. All the communists, Stalinists, Trots and Marxists. All the haters of America. All the haters of the West. All the terrorism fans around the world. In Ireland, the Sinn Fein / IRA people. And there are others that should know better, who line up with these awful people instead of on the side of the tolerant liberal democracy of Israel. Amnesty International calls for a boycott of Israeli settlements. Richard Dawkins, April 2002, calls for a boycott of Israel. Michael D. Higgins signs a 2004 petition calling for a boycott of Israel. He signed another one in Jan 2009. 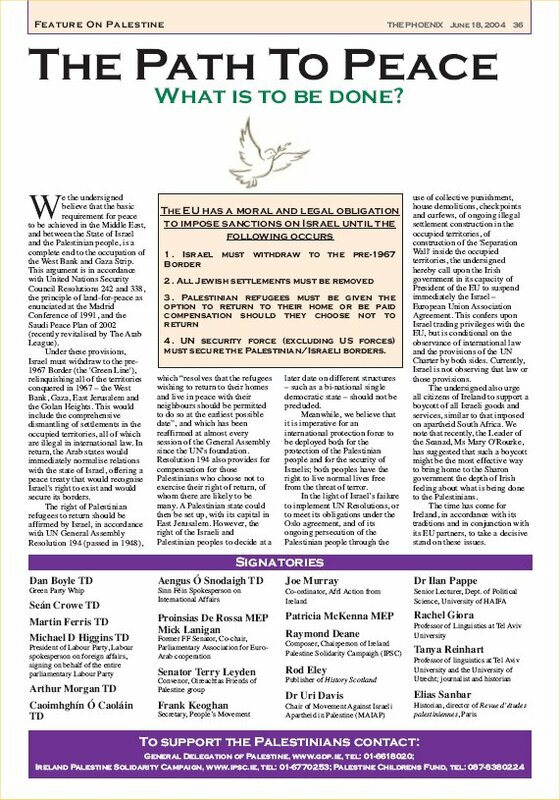 Irish Catholic bishops call for boycott of Israel, Feb 2007. And again in Jan 2019. Mary Robinson calls for a boycott of Israel, Dec 2010. Michael McDowell in Jan 2018 spoke in favour of and in July 2018 voted for a boycott of Israeli settlements. NUI Galway students vote to boycott Israel, March 2014. TCD students vote to boycott Israel, March 2018. 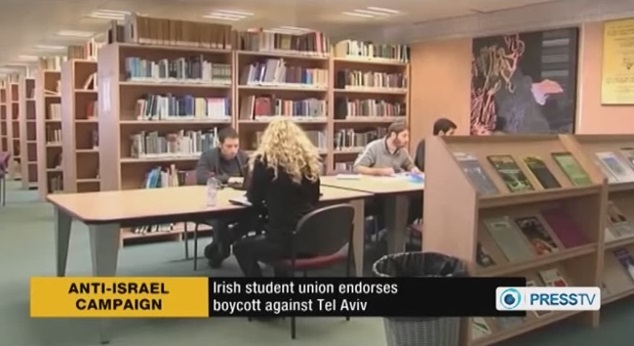 DCU students vote to boycott Israel, March 2019. The state TV of anti-semitic and clerical-fascist Iran is delighted with the NUI Galway students who voted to boycott Israel in March 2014. 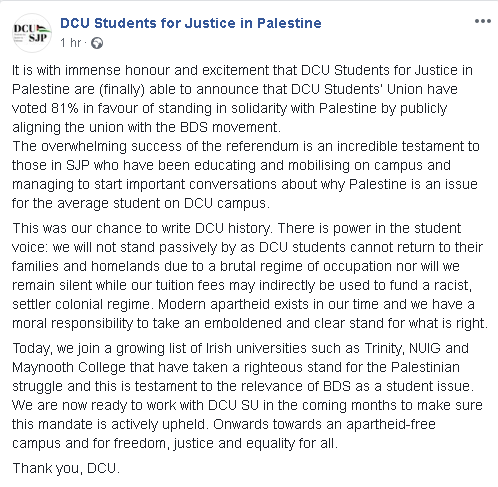 DCU SJP got their anti-Israel vote passed in 2019. They claim they started "important conversations". They did not have a single conversation with people who disagree with them. A boycott of Israel is unlikely to be passed by any sane Irish government. There is too much trade to lose. 2016 Irish exports to Israel. Ireland exported goods to Israel of value $2.1 bn. Top categories: integrated circuits, computers, packaged medicaments and broadcasting equipment. 2016 Irish imports from Israel. Ireland imported goods from Israel of value $78 m.
Why throw this away just to make far-left socialists and far-right Islamists happy? 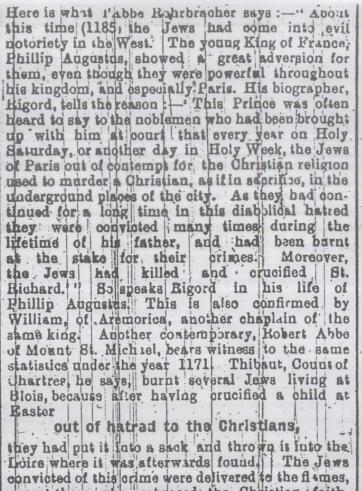 Limerick boycott of the Jews in 1904. 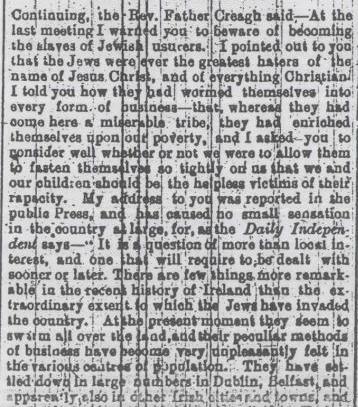 You would think that Irish people would avoid any boycott of Israel because of its echoes of the Limerick boycott of Jews. But sadly no. Irish thugs protest at an Israeli kiosk selling beauty products in Jervis Street Shopping Centre, Dublin, Jan 2009. In Odense, Denmark, in Dec 2008, the mob at a similar kiosk selling hair-care products eventually shot the Israelis. Irish terrorist-supporters attack Israeli goods in a supermarket in Belfast, Aug 2014. Note the flag of the terrorist PFLP. 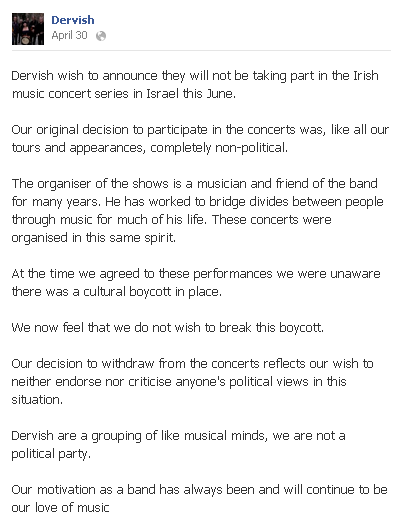 Irish band Dervish cancels their tour of Israel, 30 Apr 2012, after foolishly listening to Irish Israel-haters. They claim they don't want to be political. Too late for that. You've just made an ignorant political statement. From their facebook. Shame on them. Dervish played on an Irish trade mission to China in Jan 2005. 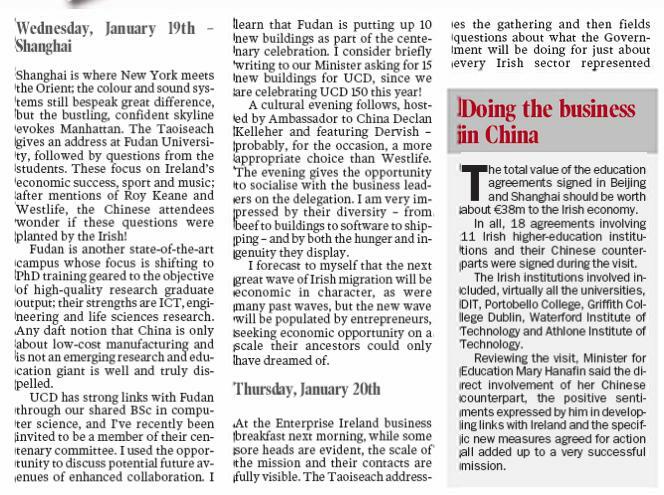 From Irish Times, 1 Feb 2005 (also here). Shame on anybody who ever signed any of these petitions. Irish politicians sign a petition calling for sanctions against Israel, June 2004. Of course, they all have signed similar petitions calling for sanctions against Cambodia, China, Cuba, Egypt, Iran, Libya, North Korea, Pakistan, the Palestinian Authority, Russia, Rwanda, Saudi Arabia, Sudan, Syria, Vietnam and Zimbabwe. Of course they have. Michael D. Higgins (Labour), "signing on behalf of the entire parliamentary Labour Party". A load of people from the Greens and from the violent group Sinn Fein. Irish academics' letter to Irish Times calling for anti-Israel boycott, Sept 2006. Signatures include: Kieran Allen, Ivana Bacik, Harry Browne, Bill McSweeney. Israeli-Irish academic Ronit Lentin is chair of "Academics for Palestine". Here on 19 Dec 2018 she says she has no sympathy for the 7 Jewish settlers shot in the West Bank by a racist anti-semitic terrorist. A pregnant woman lost her baby, but Lentin has no sympathy. It is the Jews' fault for living in the "wrong" place. They should know that living in that place would make racists like the shooter angry. The horrific Gideon Levy article she approves of is here. 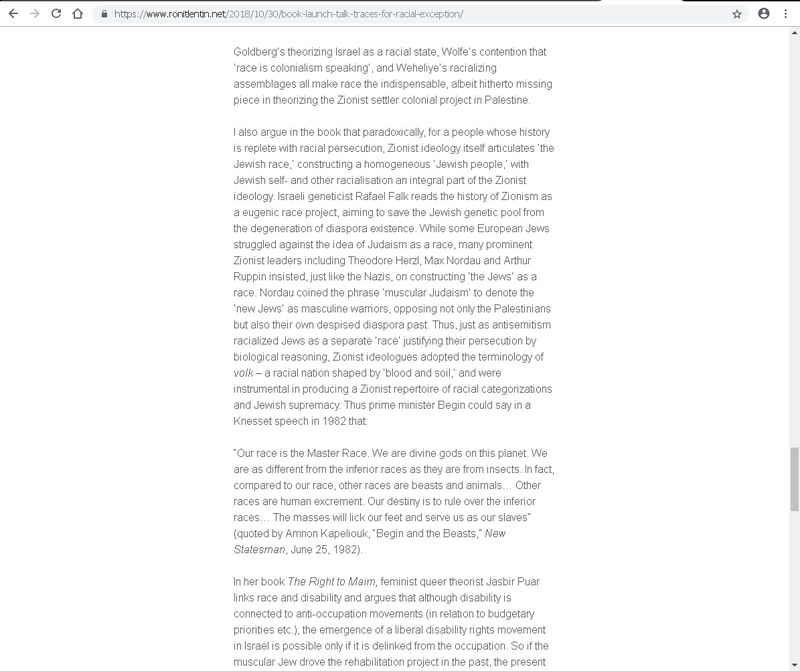 Ronit Lentin in a talk, Oct 2018, promotes a fake quote by Menachem Begin. See wider screenshot. 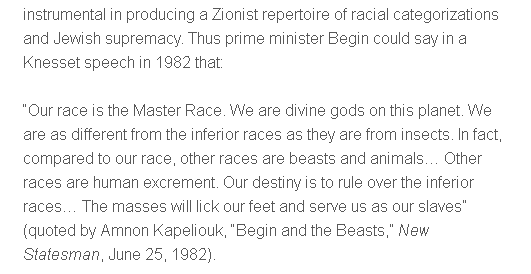 She claims the quote appears in "Begin and the 'beasts'", New Statesman, June 25, 1982. But this is false. 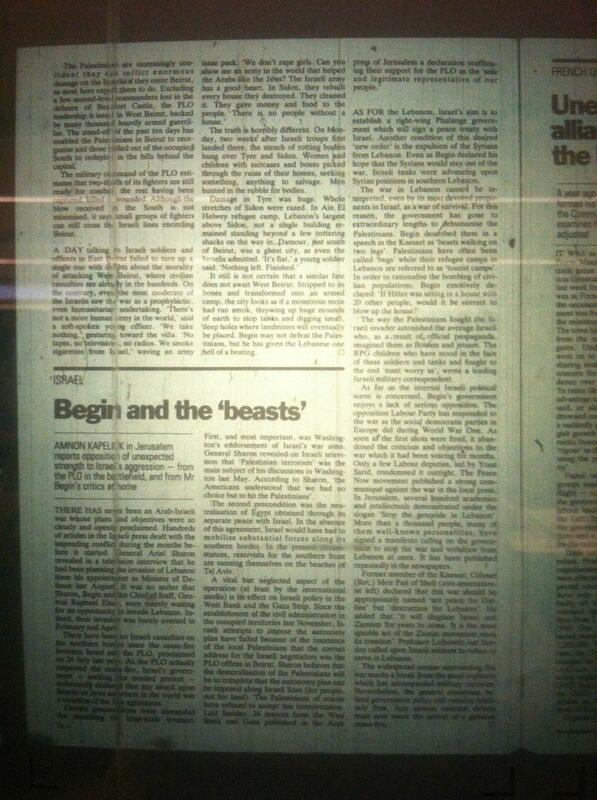 Here is a photo of that article (from here) and the quote does not appear. See more at the Begin Center and CAMERA and here. Apparently she put this fake quote on p.100 of her book Traces of Racial Exception: Racializing Israeli Settler Colonialism, Ronit Lentin (Bloomsbury Academic, 2018). Irish singer Frances Black is close to Sinn Fein. She sang at the funeral of IRA terrorist leader and mass murderer Martin McGuinness in 2017. Frances Black got into the Senate in 2016. She immediately started a campaign against Israel for no obvious reason. She proposed, for no obvious reason at this time, a boycott of Israeli settlements. This campaign gained a lot of traction from people who should know better. She introduced a private member's bill in the Seanad in 2018 to boycott Israeli settlements on the West Bank: Control of Economic Activity (Occupied Territories) Bill 2018. The bill passed. Shamefully, Fianna Fail supported her bill. It seems they have decided to abandon the centre-right voter and chase Sinn Fein votes instead. Seanad debate and vote, 11 July 2018. Frances Black says Jews building houses is a war crime. "I saw the impact of settlement expansion when I visited the West Bank ... I witnessed ... the crushing indignity of a Palestinian community having been cut off from its water supply which had been diverted to support an Israeli chicken farm. ... That commercial settlement built on stolen land beyond Israel's internationally recognised borders is a war crime." Jews building houses is a "war crime". But Martin McGuinness commits actual war crimes and she sings at his funeral! The chicken farm story: One also wonders if her story about the water stolen for a "chicken farm" is even true. She never gave the name of the Palestinian community, and repeated attempts to ask her online by me and others met with silence. Does this "Palestinian community" actually exist? Was the Irish Senate vote on Israel swung by fake news? Seanad vote. T�, 25; N�l, 20. 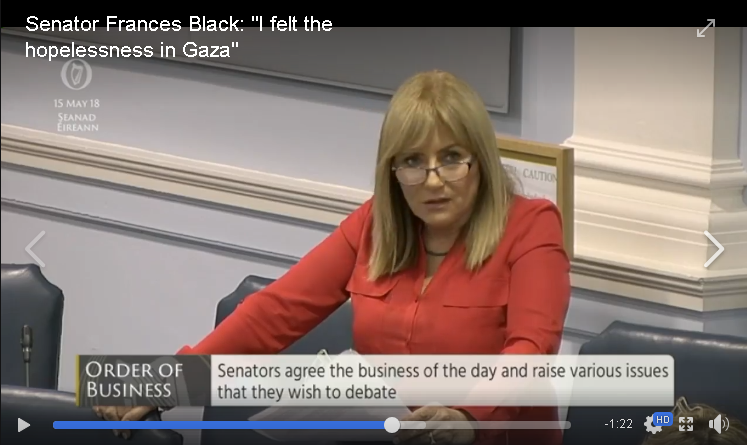 Frances Black in the Irish Senate, 15 May 2018, talks about the "despair" of the people of Gaza. She never even mentions terrorism. Israel is blockading Gaza for fun, apparently. The bill passed in a Dail vote in Jan 2019. However the Irish government will veto it on numerous grounds. Still, a day of shame for Ireland. Dail vote. T�, 78; N�l, 45. Every extremist in the Dail, plus Labour and Greens and Fianna Fail. Irish Nazis, anti-semites and Holocaust deniers are excited by the Frances Black boycott bill. 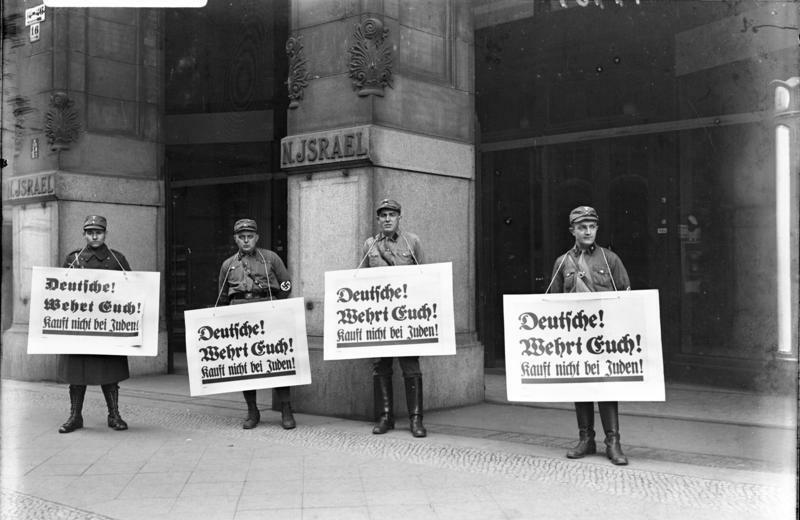 Yes of course anti-Israel people are not all Nazis. There are a range of bad reasons why people are anti-Israel. But if Nazis agree with you about the Jews, maybe you've got it wrong. 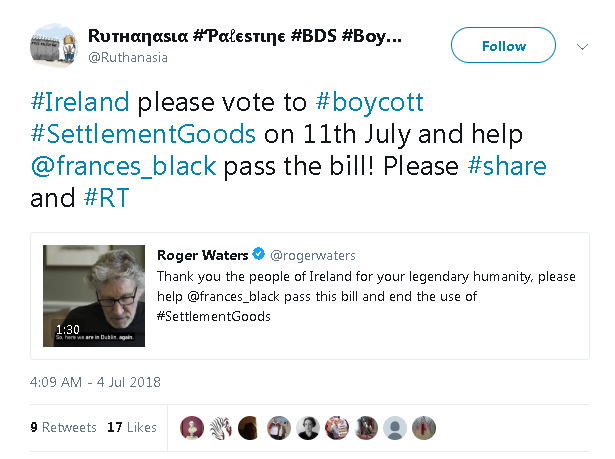 Holocaust denier "ruthanasia" supports Frances Black's bill, 4 July 2018. 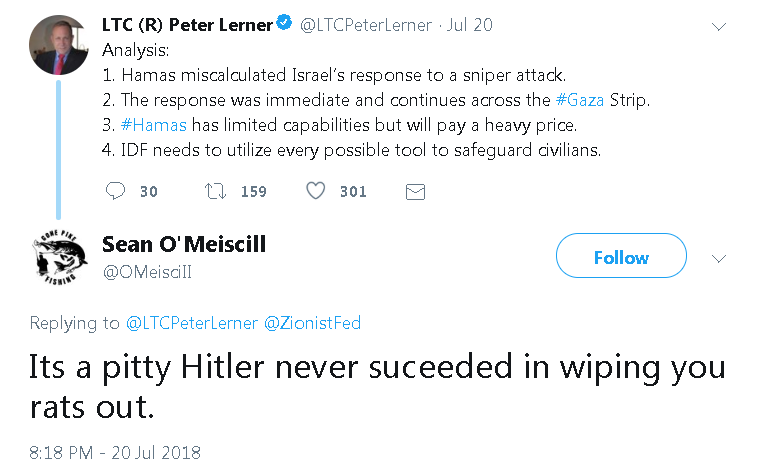 Holocaust denier Dermot Mulqueen attacks opponents of the boycott, 5 July 2018. 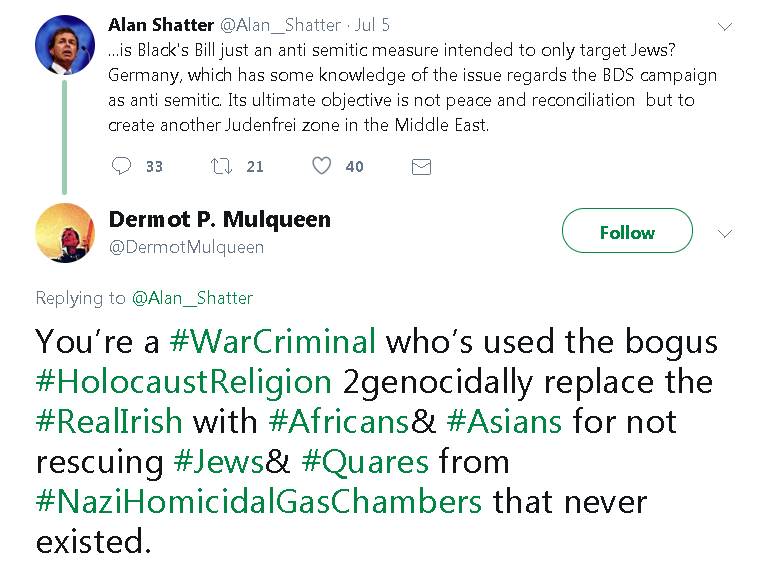 Dermot Mulqueen is not just a Holocaust denier. 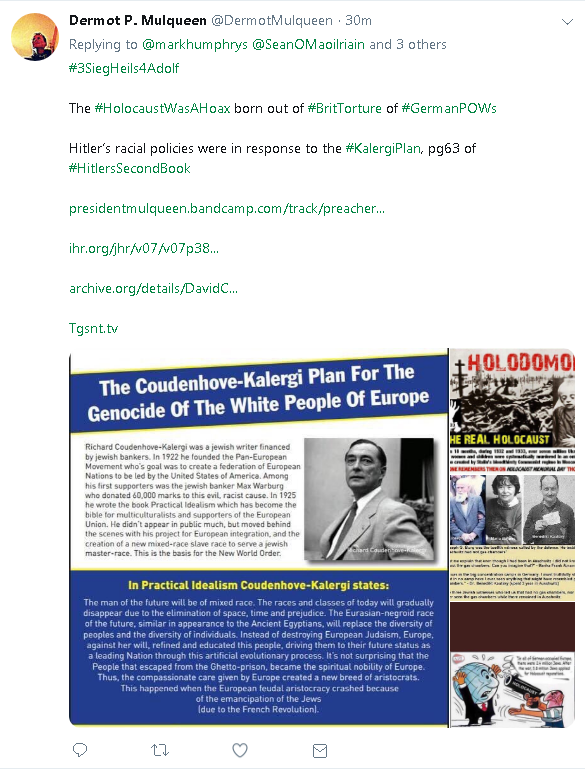 He is pro-Hitler. 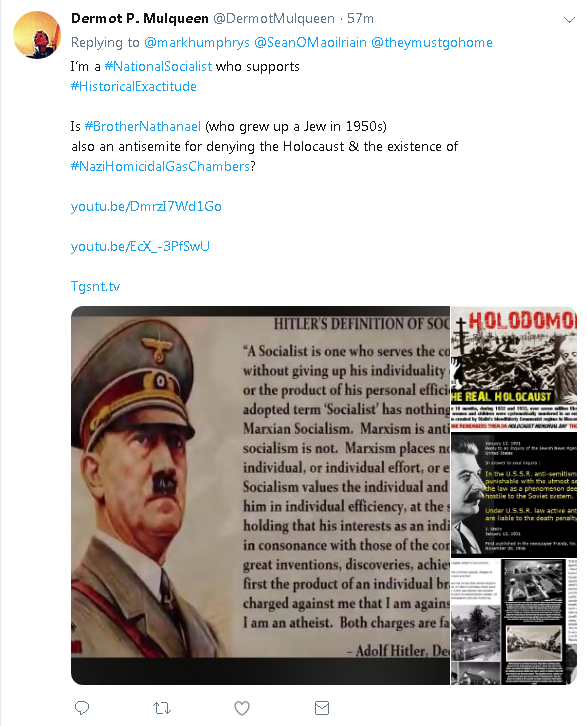 See more from here: "I�m a #NationalSocialist who supports #HistoricalExactitude"
An Irish Nazi (Hitler fan) is excited about the Frances Black boycott, 22 July 2018. He is also a PFLP supporter.